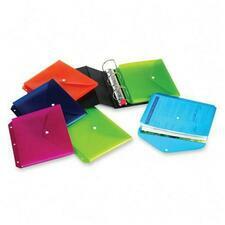 Expanding Binder File is made from durable polypropylene. Archival-safe for all documents and photos. Three-hole punched to fit any standard ring binder. Holds up to 30 sheets per compartment (90 sheets total). 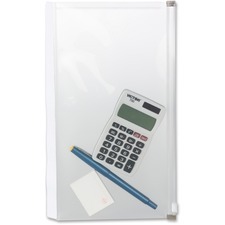 Binder file fits into file cabinets or drawers for future use. CopyGuard Vinyl Organizers protect your letter-size documents. Exclusive CopyGuard vinyl protects against photocopy and inkjet ink transfer. Reinforced construction is sealed on two sides and features a thumb cut for easy access. Photo/index pockets protect your items from everyday wear-and-tear. Clear front layer displays the entire item without obstructing its visibility. Open pocket end allows fast, simple insertion to prevent damaging your items. Self-adhesive sticks firmly to surfaces and removes cleanly. 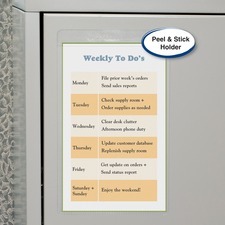 Pocket is perfect for displaying photos, index cards, signs and more. Colorful Owls are back and ready to help teachers expand contemporary decorative themes into their curriculums. The fresh, unique style of these folders will make organizing your classroom simple and fun. Set includes six folders, two each of the three designs, and each measures 11-3/4" x 9-1/2". They offer a creative solution for organizing your classroom and showing off your personal sense of style. The folders are easy to personalize and keep all of your important documents organized and at your fingertips. Folders are designed for use in prekindergarten to eighth-grade classrooms. 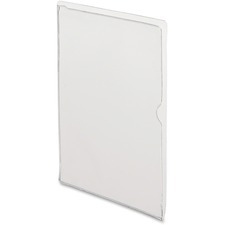 C-Line Vinyl Shop Ticket Holder - 5" x 8" - 50 / Box - Clear"
Sticky-backed holders keep your materials at hand. Self-adhesive, poly design allows them to stick wherever they are needed. Clear, heavy, top-loading holders with nonrip seams attach to any dry, clean, flat surface. They are ideal for convenient storage of instructions or service records on office equipment. Clear front allows easy viewing of contents. Safely store electronic media, receipts, photos, sticky notes, and other small or loose items inside the Stick-N-Store Poly Pouch. Simply peel back the permanent adhesive strip and press the flap into any file folder. Sturdy zipper closure keeps items secure. Made of a durable, archival, acid-free polypropylene material, the Stick-N-Store pouch is tearproof and water-resistant. C-Line 82911 Industrial Zippered Shop Ticket Holder - Letter - 8.50" Width x 11" Length Sheet Size - Vinyl - Clear - 15 / Box"
Keep your work orders, project schedules and other papers clean and dry with these super heavyweight vinyl holders. Both sides are clear for easy viewing, and the top features an eyelet for easy hanging. Made of welded vinyl, the shop ticket holders offer zippered seals that guard against dirt and moisture so your documents stay protected in even the roughest environments. Each ticket holder holds up to 35 sheets. 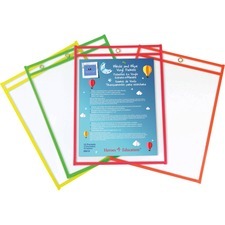 Use your worksheets again and again with these write-and-wipe pockets. Slide in your worksheets and have your students write directly on the vinyl surface with a dry-erase marker (sold separately) to reduce paper waste. 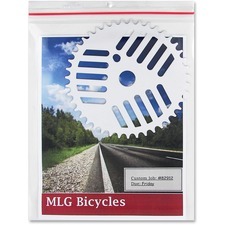 Easy-to-clean design wipes cleanly with a tissue or soft, clean cloth for long-lasting use. Vinyl pockets are designed for use with 9" x 12" papers. Dry-erase pockets combine dry-erase technology with a super-heavyweight construction to deliver an economical study tool for your students. 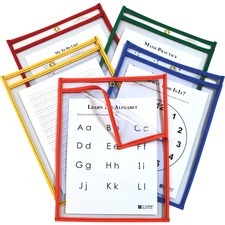 Easy-load design opens on two sides for easier access to worksheets. Just slide in your worksheet into the pocket to let your students practice math problems, writing and more. Reusable design saves you paper and expenses by eliminating the need to repeatedly print new worksheets. Cloth binding edge increases the strength at the vulnerable points for long-lasting durability. Easy-to-clean surface allows you to simply wipe away marks with a dry cloth or tissue to quickly get to the next assignment. Assorted colors include red, orange, yellow, green and blue.